Presented in a mini collectable 1980's style TV, this retro quiz will take you back to the greatest days of television. Presented in a mini collectable 1980's style TV, this retro quiz will take you back to the golden days of television, featuring classics such as The Teenage Mutant Ninja Turtles, Quantum Leap, and The A-Team. 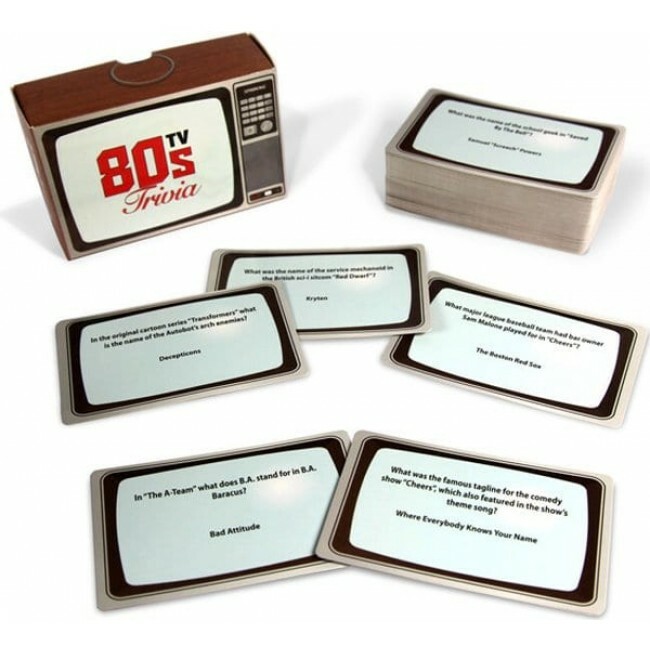 So, whether you need to break the ice at the dinner table, or just want to see who out of all your friends is the ultimate TV buff, then tune into one of our retro Trivia Box Sets and relive some the greatest years of television shows.